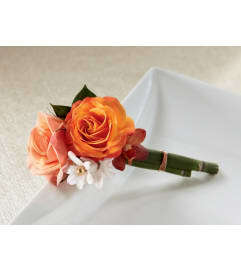 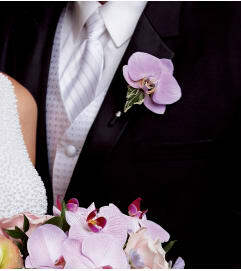 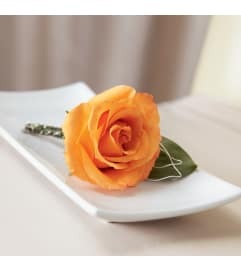 The FTD® Pure Grace™ Wrist Corsage is the perfect accent piece for any of the ladies in your wedding party. 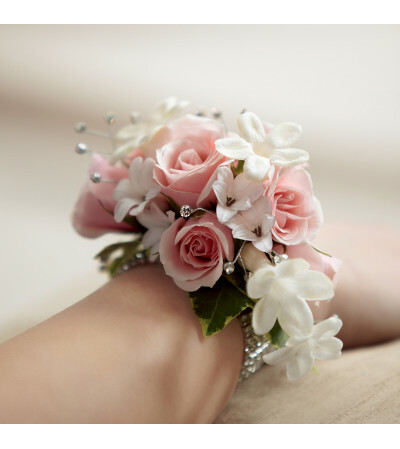 Pink spray roses, white hyacinth, stephanotis and variegated ivy vines are cleverly arranged to create a fantastic look. 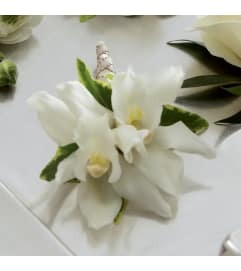 Accented by rhinestone spray pics and secured by a sparkling flower bracelet, this corsage exudes charm and feminine beauty.